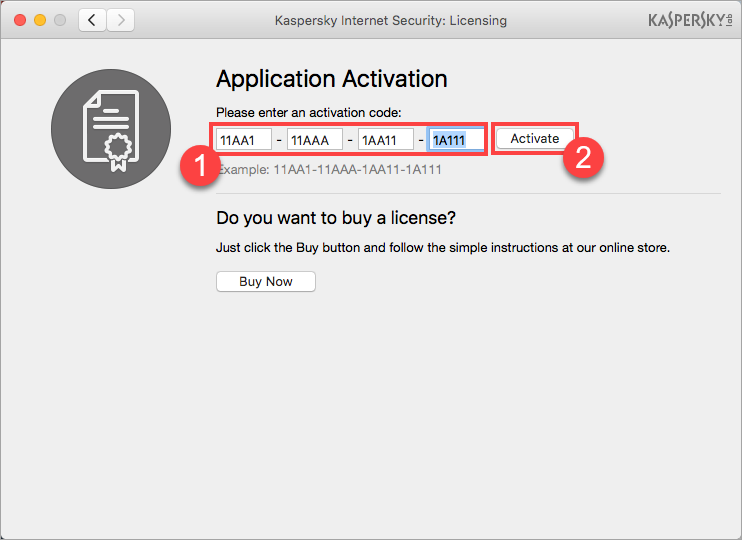 To activate Kaspersky Internet Security 18 for Mac, you will need an activation code. It has the following format: XXXXX-XXXXX-XXXXX-XXXXX. Find more information about the activation code in this article. You can try the application for free for 30 days. Check if the date and time on your Mac are correct. Check your Internet connection. For example, try opening www.kaspersky.com. You cannot use a trial license if it has already been used on the device earlier. 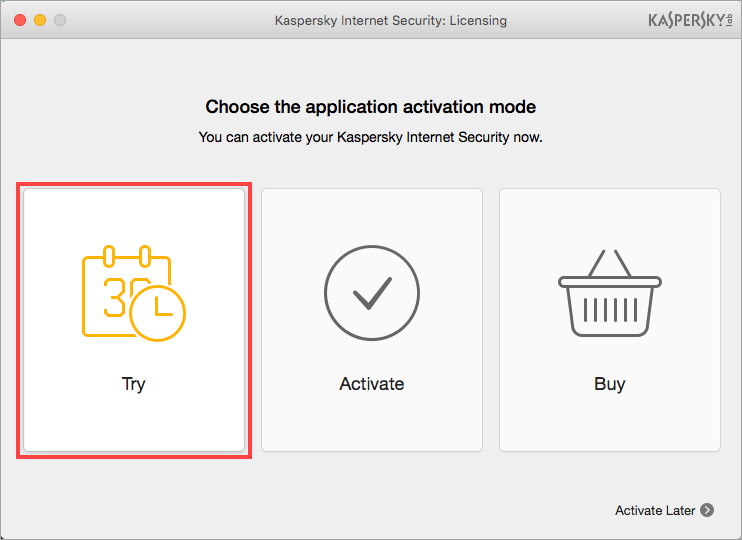 Open Kaspersky Internet Security 18 for Mac. For the guide on how to open the application window, see this article. 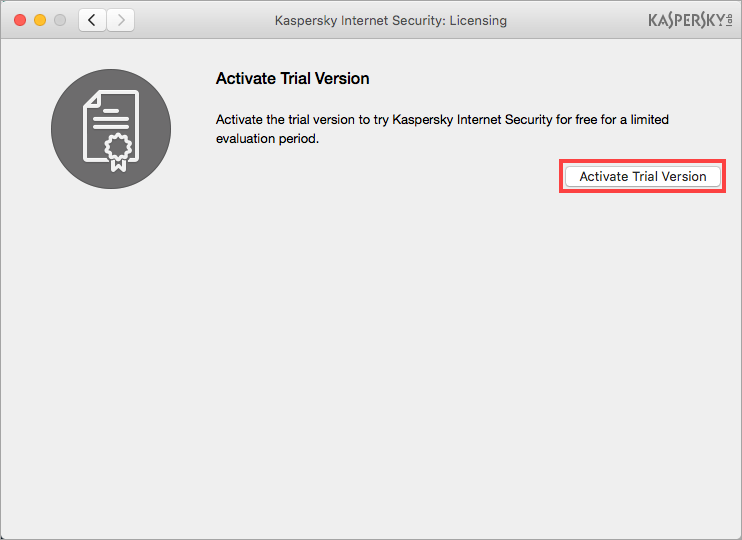 If you are currently using a trial license, click the icon. Enter the activation code to the field and click Activate. 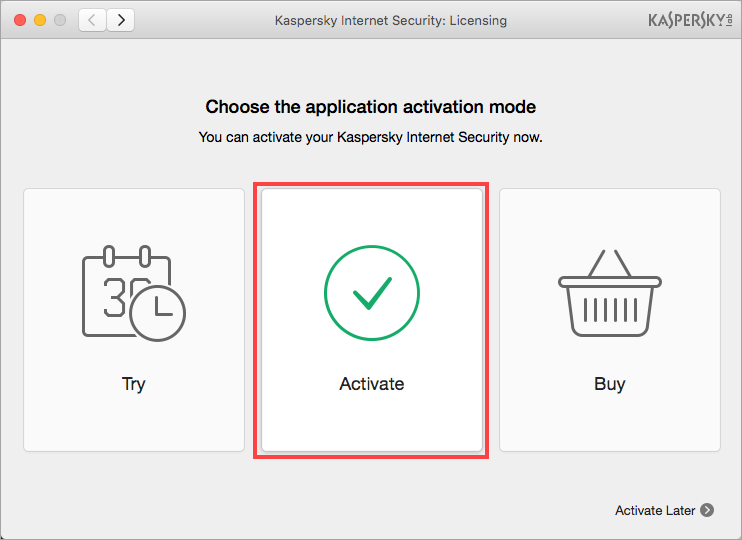 If you experience any problems activating your Kaspersky Lab application, try looking up your issue in the Activation errors section. If the solution for your problem is not in the list, please submit a request to Kaspersky Lab Technical Support via the My Kaspersky portal.